The bio reads like an all-star team of Victoria musicians. Lit Up was co-produced by Astrocolor and Colin Stewart (Black Mountain, Dan Mangan, Ladyhawk, AC Newman). While primarily instrumental, it also features choice vocal moments from a collection of the band’s friends – Kandle, Rykka, Antonia Freybe-Smith, and Abi Rose. Based in Victoria, BC, Astrocolor is Andrew Poirier (guitar), Anand Greenwell (saxophone), Chris Mackenzie (drums), William Farrant (bass), and Piers Henwood (guitar). With additional programming and instrumentation by Matt Lyall, the Righteous Rainbows of Togetherness, and Jason Cook. This cut features Antonia who we know from so many great bands in Victoria. Most notalby Jets Overhead. 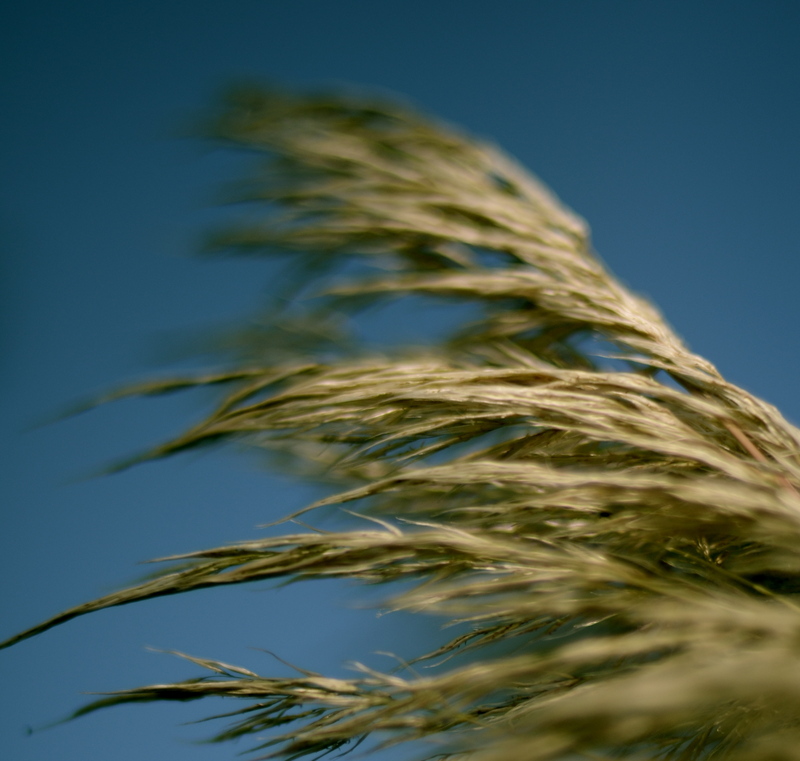 And they have some beauty instrumentals…..
Getting some good reviews too! My man Travis Smyth from former Victoria band (and former Zone Band of the Month) The Luna Riot sent me a message. The band marches on, in Vancouver now… and a new trippy psych record has been produced. 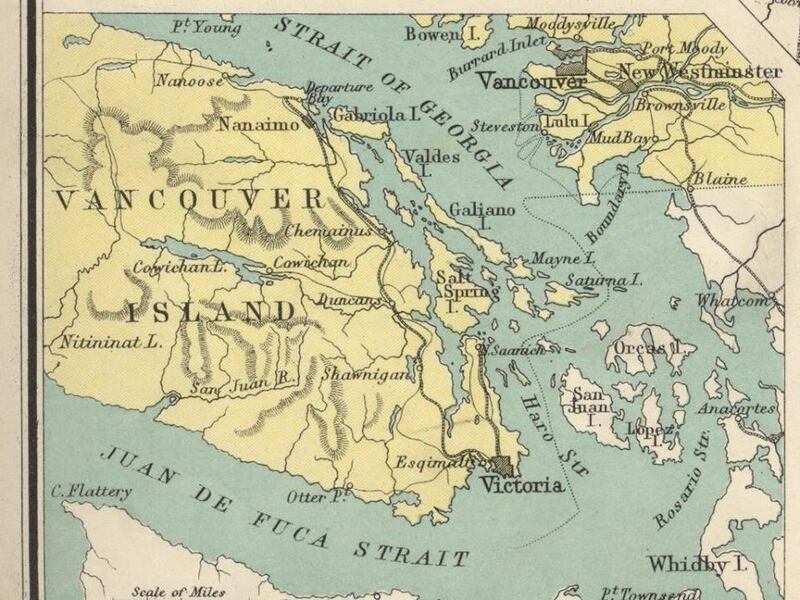 The Luna Riot will be in Victoria on July 25th at Logan’s (whoa, same night at Inlet Sound at Lucky!) and then back for Rifflandia in September. They are bringing Vancouver band The Rampant Lion with them! Let’s listen to some new Luna Riot. 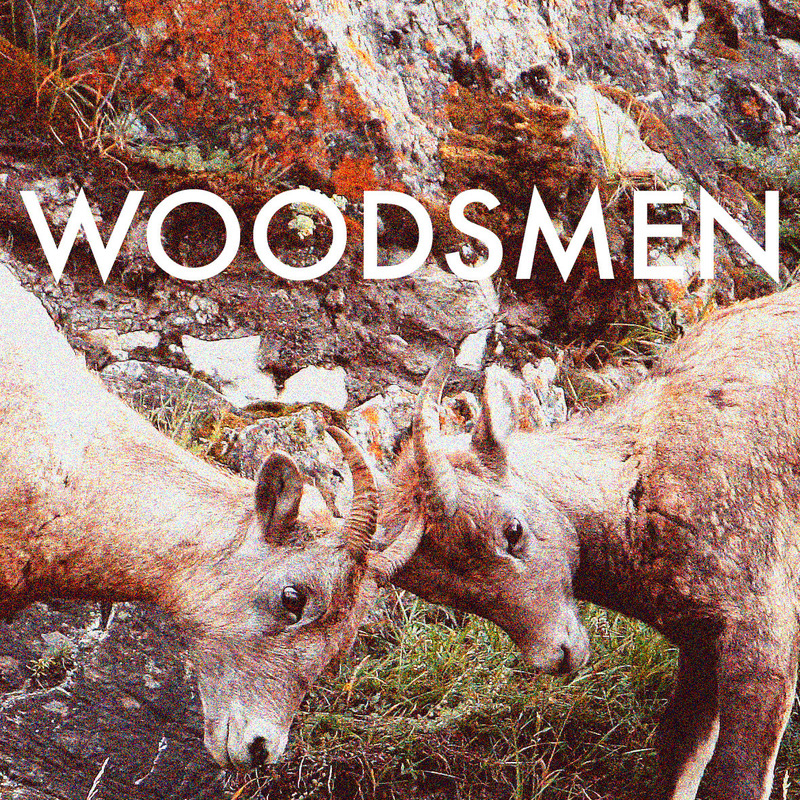 The boys and girl in Woodsmen released their ep on Earth Day. Its a 3 songer of indie alternative folky stuff. They tag it as francophone? Maybe there is some francais buried in the mix? 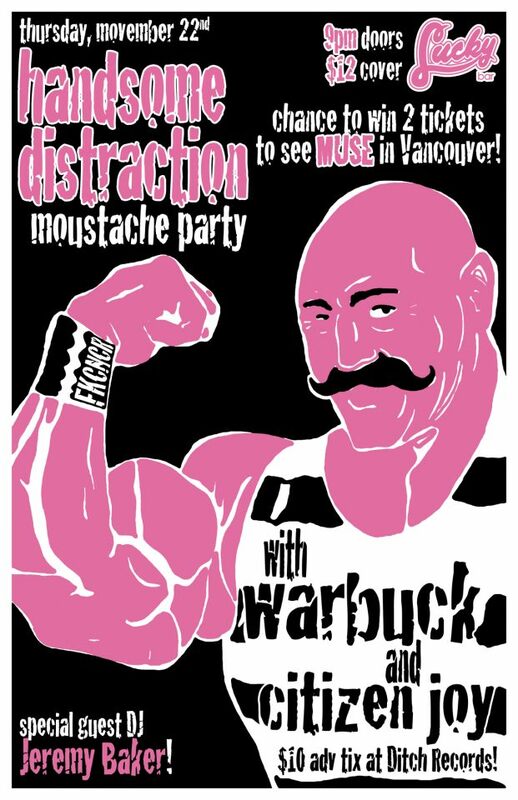 Warbuck is playing the Moustache Party at Lucky Bar tonight and a fundraiser for Movember (AND featuring a DJ set from me). I talked on an earlier post about headliners Handsome Distraction….so lets have a listen to the other support band, Citizen Joy. Groovy, bluesy, vocally driven, jazzy rock & roll. 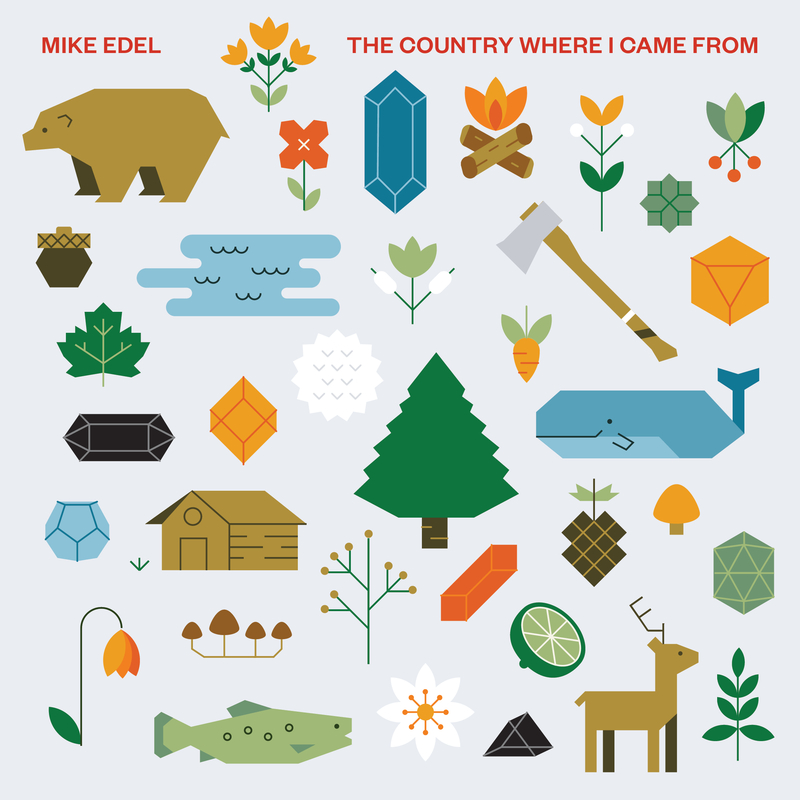 Victorian, former Zone Band of the Month, Peak Performance Top 5 finishers, stud, Mike Edel is coming home. Mike and his band have caravanned across this giant nation during some hard months. He’ll be in Victoria for a show on Friday, November 30th at Lucky Bar. The next night in Vancouver at the Media Club. Then some sun! 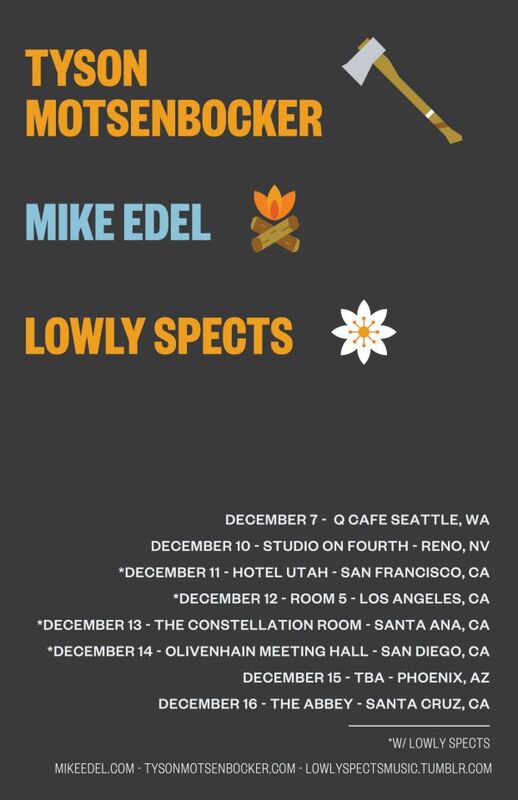 He tours the Western USA… including Reno? Yes, even Reno…the biggest little city in the WORLD! let’s hit play on this jam and make out.